Add a little extra sweetness to that special day with personalized candy bars! 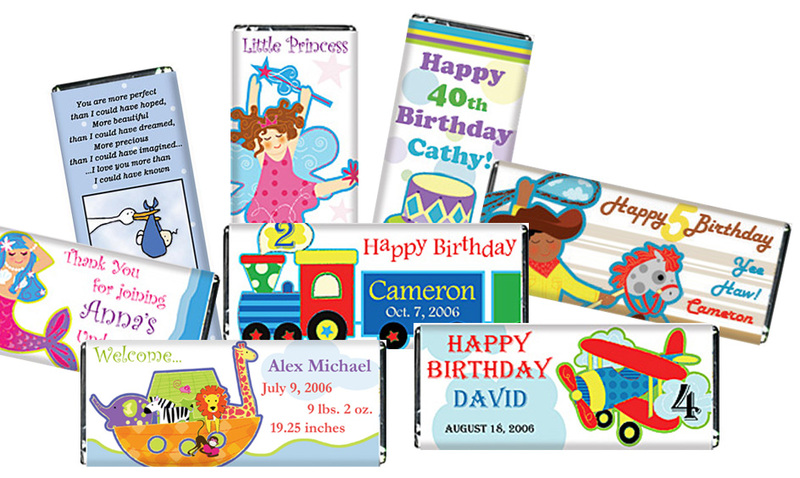 _Please include the style of candy bar and the specific text you would like on them. _Buy a CD that includes ALL of our designs for you to sell to others - click for more info!